Right, enough of that stuff, on with the pictures! Greetings all - it's safe to say that we live in interesting times at the moment - GW producing a community-inspired FAQ, new rules for old factions thought long-dead, new kits and units for not so old factions neglected for many years, and of course, new versions of old community favourite games, with rumours of epic, battlefleet gothic, the glorious Necromunda, and the most feted of all, Blood Bowl. Greetings all, it's Monday again and time is flying particularly quickly for me and the family at the moment - but I've still got a hobby update for you all! time for a little showcase methinks! 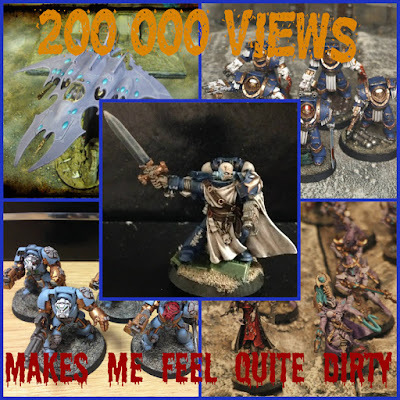 A gamer friend of mine recently introduced me to instagram, noting that he'd signed up and started posting pics of his horus heresy games and progress and had picked up many followers very quickly as a result, with the idea that he was going to start a youtube channel in the not too distant future showcasing their battles. Hobby update - 14/11/16 - Fluffageddon fallout and yet more building! welcome to another week, and another look at the inner workings of my hobby. As you may or may not know, this weekend I attended Fluffageddon at The Outpost in Sheffield. The shop itself was great, and the guy in charge on the day was extremely friendly, knowledgeable and an all-round top bloke. As for the event itself, well, I may as well just admit this one right now. I lost. Everything. All three of my games, and I came bottom of the pile of 16 players on the day. I'm going to try and not sound like a whinging loser at this point, but I feel confident that all three of my opponents would back me up and say that my dice/tactical cards abandoned me for the day. It got so bad that my wooden spoon prize for coming last was actually a set of new dice! Genestealer Cult - developing the background for my army. Greetings all, welcome to another of my expo posts on the lists I'm working on and planning to play with. As these armies are completed you'll begin to see them crop up in battle reports on our brotherhood blog and youtube channel, so you'll be able to see how they actually work on the tabletop as well as understand the theory behind the army. Hobby update - 7-11-16 - I seem to be assembling a lot of models this week! Greetings all! Welcome once more to my weekly glimpse into the world of wonders that is my hobby-space. Lots of things happened this week, and there's going to be a post to look out for on the genestealer cult soon, with reviews going to be posted on the brotherhood blog and a list expo on my plans for my own personal collection here on the burning eye. Razorwing giveaway - winners announcement! Greetings all! I get to make a fun post today - though a difficult one all the same. You may recall a few weeks ago the blog hit 400 posts, representing somewhat of a milestone for me and my usual try something for a bit then give it up personality. It probably helps that it's about 40k, something that has been at the forefront of my enjoyment of life for the last 23 years. As the Dusk Knights are now approaching playable levels of painted units, I thought I'd post up a little about their fighting structure. And because Rory asked me in a comment if I was working towards a particular list or just painting stuff at random. As you'll know of course from my post on the Dusk Knights background (what do you mean you've not read it - get over there now!) they were founded by a Black Templars crusade settling on a planet following a campaign there, and as such descend directly from that august chapter and indirectly from the Imperial Fists and Rogal Dorn. That gives me plenty of scope to build an initial list from either the standard marine formations, or utilise the Imperial Fists heritage to pick a sternhammer force and get re-rolls on my bolter misses. Equally, the natural environs of St Olav's Fall also allow me to justify a stealthy way of warfare when required, making use of the Raven Guard tactics if I need to. Further down the line I'll also be looking at incorporating other chapter tactics where necessary to fill functions based on list themes, but those two will suffice for now. Now as I'm a bit of a fluff bunny at heart, a CAD just seems a little too generic for me, so I wanted to base my army more around the more thematic detachments and formations available to the space marines. As an aside, I'm a staunch supporter of both detachments and formations, as I believe that they theme a force to the background of a faction far more effectively than any other method I've ever seen used, and whilst they aren't perfect, and free upgrades aren't really appropriate for those forces (you'll never see me make use of the free razorbacks from a battle company for example) the rest of the benefits are fantastic at making armies fluffier. Necrons become very difficult to kill, Tau work better as a whole than they do individually and space marines become adept at securing objectives to name but a few. So, let's look first at the Gladius Strike Force, and most particularly of course the battle demi-company. My intention is that this will become a basic building block for quite a few of my armies using the dusk knights, with different auxiliary formations and units slotted into the demi-company arrangement to tailor the force to different styles beyond that. Tactical Squads really are the backbone of marine lists, and skimping on them will result in failure at some point, so ideally I'm looking to take at least two full size squads, and a smaller unit. I could certainly substitute scout squads in here, but they aren't quite as flexible as tactical units and are considerably less resilient. I gravved up one of the squads, splitting a second into a long range (Heavy Bolter) unit and a short ranged (flamer) unit. The remaining unit went into tank hunting mode with a multi melta, meltagun, combi melta and a death wish. Plenty of options to choose from here, but the one that immediately stood out to me was the land speeder squadron. Initially this was because a single land speeder was really cheap, but the more I looked at it, the more I realised that the land speeder squadron is not only a highly flexible unit, but is also capable of putting out serious amounts of firepower. I opted for three tornado variants (for those of you who remember the old designations based on weapon loads) which would give me a dozen assault cannon shots and a further 9 heavy bolter shots per turn. That kind of firepower is usually going to dent whatever it points at. In a gladius these speeders are also objective secured, giving me a very mobile unit for claiming objectives if necessary. Far more limited in options here, and seemingly a simple choice, as everyone know that centurions with grav are a nightmare to deal with. I looked into this in more depth though, wanting to be thorough, and realised that actually the only offensive benefit to centurions over a similarly equipped devastator squad is the ability to move and fire normally. Now, it's fair to say that is a very big advantage, but it's not one that is insurmountable, particularly with the new captain in Cataphractii armour making any unit he joins slow and purposeful (effectively granting the Devs relentless). Add to that the ability of the devastators to take an extra grav cannon and a combi grav, and I was sold, a Devastator Grav Squad who would be accompanied by my captain to kick out 23 grav shots on one turn of the game, and 20 for every other turn. The Captain could then use his considerable resilience to protect the guys he's with, giving them an effective 2+/3++ with re-rolling '1's on the invun. The Shield Eternal would also be quite fitting to the Black Templars legacy (admantium will) and would force opponents to wade through every wound he has rather than killing him instantly. Just to really make the unit nasty the Captain also brought an auspex with him so that I can minimise the advantage of cover from my shooting. So there's the basic building block of my army, 1260pts, 36 infantry, a fast vehicle squad and a squad that's lethal to more heavily armoured infantry. But it's lacking a fair few elements, which would need to be provided by auxiliary formations etc. No anti-flier capacity at all. The basic choice therefore was to provide much greater mobility to the force. One formation stands head and shoulder above the others in this regard, as the 10th company task force allows me to take 3-5 squads of scout bikes to bulk out the army. That would give me four very mobile units able to traverse the table easily once deployed to secure objectives etc. It also has the added bonus of being able to limit my opponents mobility to an extent thanks to their cluster mines. That adds a further 252 pts to the list, totalling 1512, and therefore giving me 338pts remaining to play with assuming my standard list is going to be 1850pts. 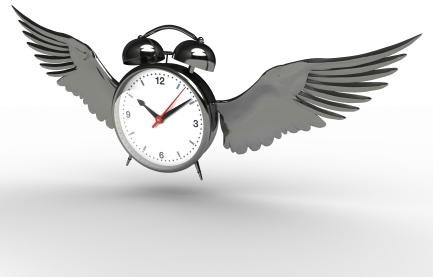 I therefore needed something to tackle fliers, and the obvious choice here was a flier wing of my own. Not only would this fulfill my anti-flier needs but it could also be advantageous in making sure my drop pods arrive when I want them to. A pair of Stormhawk Interceptors should do very nicely indeed I think, kitted out to give me the maximum fire output they can, so Icarus stormcannons, Skyhammer Missile Launchers in addition to the stock Assault Cannons. Taking all that left me with 78pts left to spend. A bit of an annoyance really since that wouldn't let me do very much and certainly wasn't enough for any additional squads bar a scout squad in the task force. I had a couple of options therefore, I could strip back the melta tactical squad to cut back on points, and doing so gave me just enough to be able to afford a venerable twin lascannon/missile launcher dreadnought. 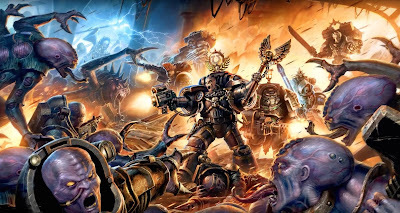 All in all that brings us to 1847pts, and has the tools to deal with just about any threat you care to think of, massed bolter fire for hordes, meltas, grav and lascannons to deal with armour, and a pair of fliers with enough guns attached to them that even an ork would be impressed with the amount of dakka. So there you have it, a basic 'standard' 1850pt list using a gladius strike force as a basis for building the list. This will be my building block to work from, tweaking its themes and auxiliary parts as necessary to give me a variety of ways to play the army. My October Challenge - Pod and a Squad! Greetings all, given that I cocked up on my army planning for Dreadtober (I painted my Contemptor in September) I figured that I would set myself a challenge to complete in the month anyway. As it happens, this came in the form of a 'competition' against my good buddy Tom from freshfromthewarp. 200,000 views! Makes me feel quite dirty actually, haha! Greetings all, time for another celebratory milestone, though as it's hot on the heels of the last one I'm not going to do a giveaway this time (nothing to give for starters). Earlier this week, the blog hit 200,000 views (sometime on Wednesday evening to be precise) which is a milestone of which I'm very proud. Being a butterfly sort of person I quite often pick things up only to discard them after a short while, so to have kept this going for long enough to get to this figure is something about which I'm extremely pleased. All my blog stats are going in a nice, upward direction too, so as I add more and better quality work it's being reflected in my audience figures, which is gratifying! All I can say therefore is thank you to you, my readers, for your continued attention - and I pledge that I will continue to try and improve the quality and quantity of content on the blog. Here's to the next milestone, whenever it may be! Lots of new things happening with the blog and hobby recently, and this one is just the latest in the queue of things I'm going to try. I'm looking for a volunteer to engage with me over some commission work. I'm thinking of taking on commission painting in the future and so what I'm looking for is someone who not only wants a small commission undertaking for a nominal fee, but also who is willing to critically evaluate the level of work I'm doing for them and assisting with feedback on a realistic pricing of that work. October Review - I can't believe it's nearly my birthday again already! The year is almost done, just a couple of months left to fit in anything else I want to do before we hit 2017, it must be time for another monthly review!